Create Embellish Adore: Witches Goblins OH MY! 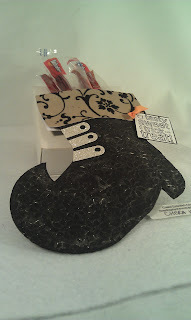 and over at Bloggers Challenge today! When the Stocking die was just released, these boots were all over the place... I however, had never made one. 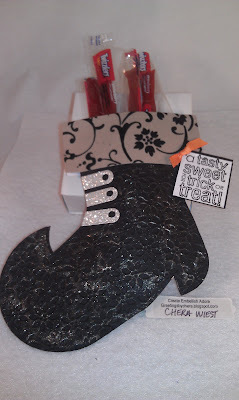 I used my die for all sorts of items just not the witches boot.. but this year I am! 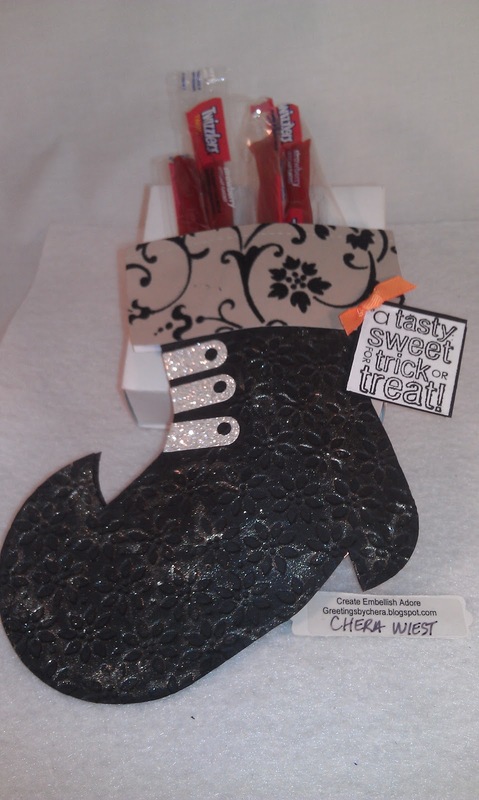 I used the stocking die, embossed it and then grabbed some twizzlers for this cute little favor! 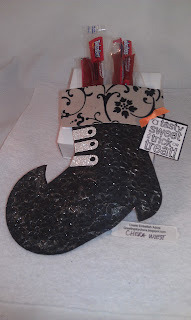 I painted with the Champayne Mist, (first time ever used) on the embossed boot and put a tag on the end. How fun - How cute! How it makes me giggle everytime I look at it!! Come on over and play along! Its bewitching!!!! Thanks for stopping by! Have a great day! Hug the ones you love! love how the painting on your boot looks! Love, love your boot!! Uniquely created and wonderfully created. TFS. Fun boot. Clever way to send off a bit of a sweet snack to someone special.